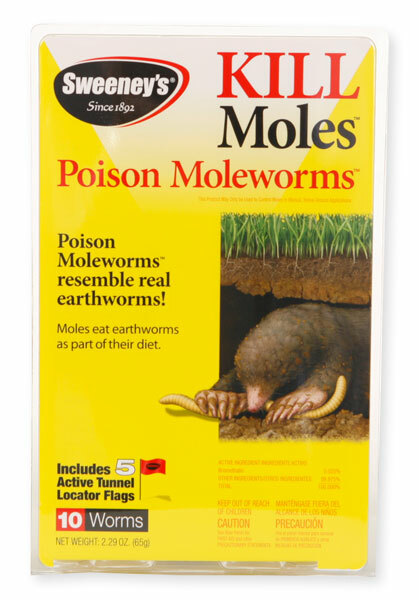 Will a cat be poisoned if he eats a mole that has injested a mole worm? No, not with this bait. This bait is not a secondary poisoning insecticide. The cat or pet will not be affected in most cases by eating a mole that has died of poisoning.